AK'S Genealogy Research: Was an Ancestor Presidente de Nicaragua? Was an Ancestor Presidente de Nicaragua? Ever since I found information on a short term President of Nicaragua I wondered if I was related? His name was Nicasio Del Castillo and he was President for an entire month 13 Aug 1856 - 12 Sep 1856 . My great-grandfather was also named Nicasio Del Castillo. 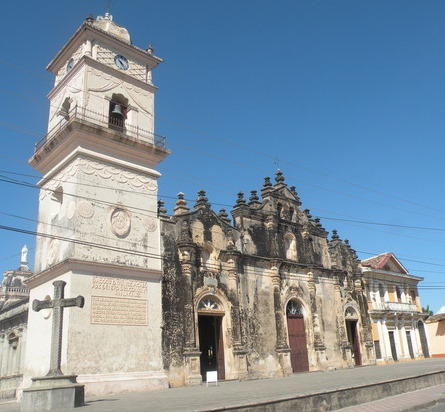 According to Enrique Mejia, who had studied Nicaraguan History for his own family research, the del Castillo family had been one of the most important families during the colonial era. He also said a that a Juan Arguello Del Castillo was Vice President at one time. I had found that a number of Del Castillo's served on the Nicaraguan Supreme Court. My mother thought that her grandfather may have been a lawyer? At this point I have not been able to trace my family very far back in Nicaragua. The only clues I have about my family there is from my Grandmother's death certificate. It gives the names of her parents as Nicascio Del Castillo and Elena Garcia. Unfortunately only the Civil records for Managua, Nicaragua have been filmed by the LDS Church and are now available online. I've written to the Church in Granada where my mother was baptized for additional family info but it sounds like my great-grandparents were not members of that Church. I was informed that the name Forgey was not a local name. No, actually my grandfather was a US Marine stationed in Nicaragua and Scots-Irish and German. My Forgey family really stands out in the records there! I've written to several addresses I've found for Civil Registration Records but never received any kind of response. My new strategy is to contact the Nicaraguan Consulate in Los Angeles; and I've also found contact info for the Family History Center in Granada, Nicaragua. I will continue to keep trying to get someone's attention. Hopefully the Granada records will be microfilmed eventually? I just discovered that Managua Church records are now online at Family Search. I will being doing research there for the next few days, probably more than that (it's not indexed). Happy St. Patrick's Sister Mary Kathleen! How would you interpret these DNA results?